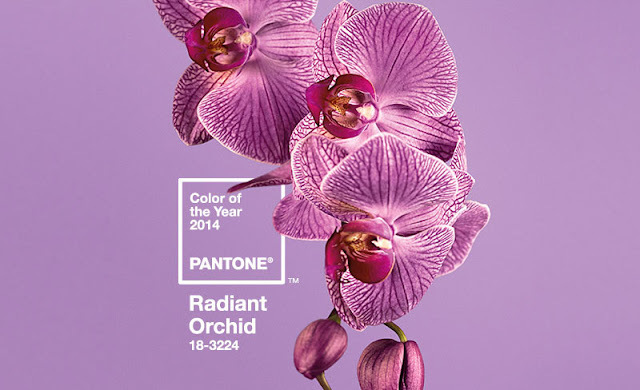 So Pantone has announced the color of the year 2014 - Radiant Orchid (18-3224), and the beauty world is already buzzing about it. Still, not having to buy a new Radiant Orchid item right away is a good start, because I remembered I had this purple polish. Being a purple lover (and also a green hater), I think I like the color Radiant Orchid better than the Emerald of this year. Except, I don't think this particular color of purple is necessarily an easy one to pull off unlike this opinion. It often draws ruddiness from complexion and looks outdated if it's paired wrong with shimmer. Butter London Scoundrel is a nice example of "Radiant Orchid", and its formula is also excellent. It applies smoothly with no streaks. The opacity was achieved just by one coat. I would still prefer Butter London Toff over Scoundrel for neutral winter polish, but Scoundrel is very much wearable thanks to the mauve and a bit of grey thrown in it. 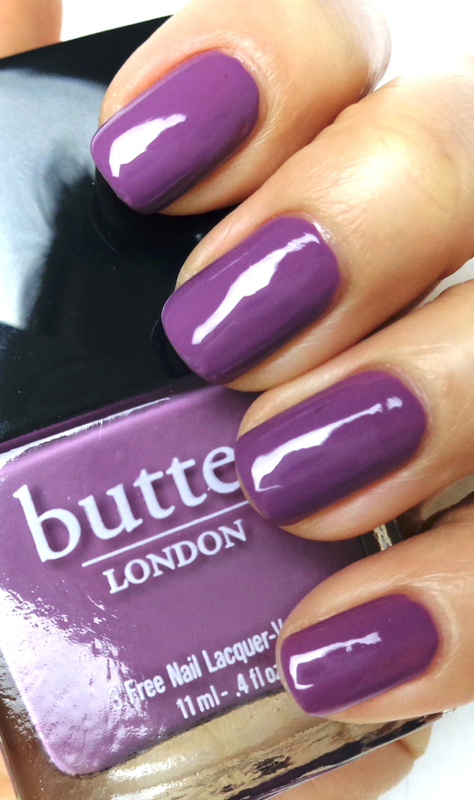 For more spring-appropriate purple, Butter London Molly Coddled comes to mind. What do you think of the Pantone Color Of The Year 2014, Radiant Orchid? Would you be sporting makeup and fashion items in this color?